THE B-MOVIE NEWS VAULT: John Carpenter's HALLOWEEN Comes to 4K Ultra HD on September 25th! John Carpenter's HALLOWEEN Comes to 4K Ultra HD on September 25th! 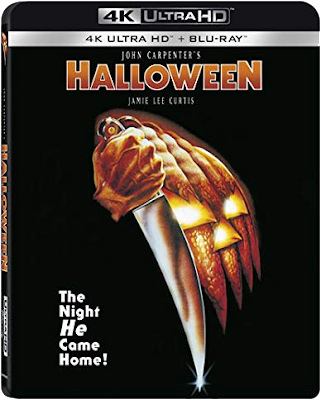 BEFORE YOU SEE THE NEW "HALLOWEEN" SEQUEL, BE SURE TO REVISIT THE ORIGINAL FILM IN 4K RESOLUTION! One of the constant headaches of being a collector is that you always feel compelled to upgrade something you already own, either because a newer release offers up more extras and better picture quality, or because it is coming out in a new format. Case in point, the latest re-release of John Carpenter's eternal classic, HALLOWEEN! Synopsis: On a black and unholy Halloween night years ago, little Michael Myers brutally slaughtered his sister in cold blood. But for the last fifteen years, town residents have rested easy, knowing that he was safely locked away in a mental hospital — until tonight. Tonight, Michael returns to the same quiet neighborhood to relive his grisly murder again…and again…and again. For this is a night of evil. Tonight is Halloween! NEW! DOLBY VISION HDR PRESENTATION OF THE FILM. Audio Commentary with Writer/Director John Carpenter and Actor Jamie Lee Curtis. 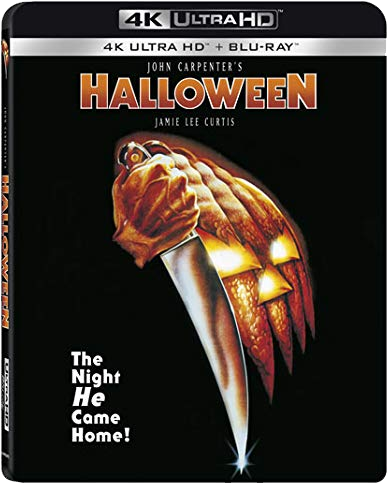 Lionsgate's new 4K UHD of HALLOWEEN also includes the film on Blu-ray disc and will be available on Tuesday, September 25th. 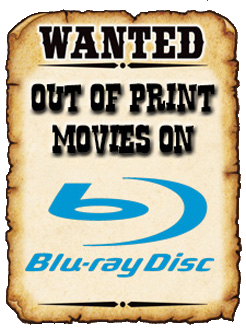 This two-disc release should cost approximately $18.00, and is readily available from AMAZON, BULLMOOSE, or DIABOLIK DVD!